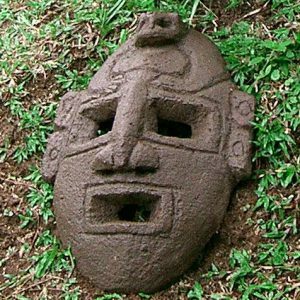 Pre-Conquest: Although Costa Rica sustained a rather large number of indigenous peoples, none achieved the cultural sophistication achieved by the Aztecs and Mayans to the north or the Incas to the south. These scattered, unorganized tribes were, therefore, more impacted by the Spanish conquest. Consequently, very little, in the way of cultural heritage, remains in the urban areas of Costa Rica today. There are, however, some tribes left in the deep jungle. Independence: Central America gained its independence on September 15, 1821. The first elected head of state, Juan Mora Fernandez, took office in 1824. In 1869 a free and compulsory education system was established. The first Democratic elections took place in 1889. Finally, in 1949, the Costa Rican constitution took effect. The constitution instituted a mandatory vote and, more importantly, dissolved the armed forces.